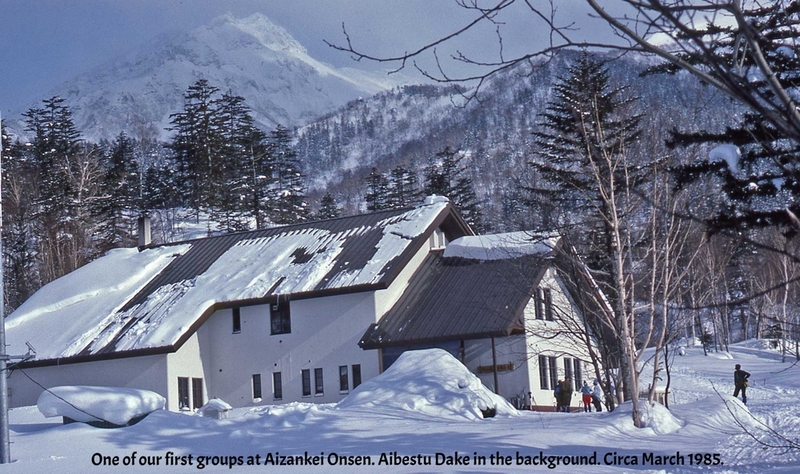 Alpine Backcountry Guides and Backcountry Skiing History Hokkaido Japan. Journey into Japan was founded by Australian adventurer John Morrell. John has had a passion for adventure since he was a child and a passion for Japan since 1981, when he first explored Hokkaido. His first trip to Hokkaido was meant to be a side trip while on his way to ski in Canada. John didn't get to Canada for another 10 years! Most of that time he spent exploring Japan's culture and its wild areas, studying Japanese and running ski tours to his secret powder stashes. During this time he managed a rare telemark ski descent of icy Mt. Fuji (3775 M) amongst other adventures. John is first and foremost a skier and cyclist and he finds Japan can truly sate these two passions. The powder in Hokkaido has been said to be the best in the world. The best way to test that is for you to come and try it yourself. The cycling is superb, with hot mix bitumen roads and in most places chosen for our bike tours, very little traffic. The Journey into Japan philosophy is centrally about discovery. This discovery can be cultural or adventure based. With this in mind, western hotels are mostly avoided (except where essential at airport stopovers and some rural locations), and the tours take you away from the crowds to remote corners of Japan. Accommodation is in Japanese Inns and Japanese food, at it's finest, is standard fare. Physical participation amongst exotic communities helps to open doors and to reduce barriers to communication. It also makes you feel good! You will be challenged and delighted at how this approach can help you to truly experience the essence of Japan. John's adventures over the years have taken him to the flanks of Mt. Mckinley, the full Haute Route in Europe, cycle touring in New Zealand and of course many adventures in his home country of Australia. His passion though is for Japan and the myriad elements that combine to make a superb adventure experience. John now runs Journey into Japan with his Canadian born wife Lucy. Although Lucy provides a strong administrative presence, she prefers to be in Japan helping on the cycling, hiking or skiing tours. John and Lucy and their staff look forward to you joining them for an adventure in exotic Japan. Unmatched experience guiding & skiing in central Hokkaido since 1981. John pioneered commercial backcountry guiding in Hokkaido for foreign skiers in 1984 and has been a leader in the field ever since. He has worked and qualified as a nordic and telemark instructor, backcountry ski guide, cycle tour leader, rafting and canoeing guide and outdoor leadership trainer (Australian Training Packages).